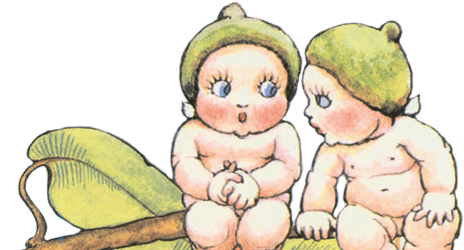 The NSW Registry of Births, Deaths and Marriages has launched a new range of Commemorative birth certificates which includes two May Gibbs Gumnut Babies designs to celebrate the 100th anniversary since the Gumnut Babies book was first published in 1916. 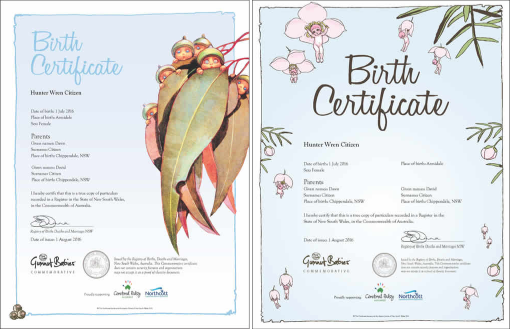 When you order the $77 Commemorative Birth Certificate package you receive a Commemorative and a Standard Birth Certificate (valued at $53) for official purposes. More details can be found on the NSW Registry of Births, Deaths and Marriages.